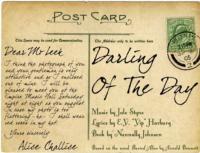 Jule Styne and Yip Harburg's Darling of the Day premieres in the UK at London's Union Theatre previewing from March 20th and running from March 22nd until 20th April. Paul Foster will direct Katy Secombe (Mamma Mia!, The Music Man, Les Miserables) and Rebecca Caine (Les Miserables, Phantom,Oklahoma! The Sound of Music) in the starring roles. There is a cast of 14 with more details to be announced shortly. In 1905 London the famous Edwardian painter Priam Farll is brilliant, unconventional, shy and can be violently outspoken. He is due to receive a knighthood but is appalled by society's expectations of its "darling of the day" (a Victorian/Edwardian term for a fashionable celebrity) so he seizes the chance to "get out of the world alive" when his faithful butler Henry Leek suddenly dies, and assumes his identity. 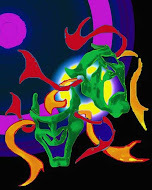 Set and costumes will be designed by Christopher Giles, with musical direction and arrangements by Inga Davis-Rutter and choreography by Matt Flint.